Comment: House we baught recently doesn't have much in the way of insulation in the attic. Would like to get it in a place where it could become a usable space however; not do that now and just get it properly insulated for cold but also ventilated when it gets warm too. Comment: Have a cement floor crawl space under my kitchen. need to have insulation either blown in or installed between floor joists and field stone foundation to insulate the floor. Comment: I have an old house (1776) that has ice dam problems in the winter. I would like to foam insulate the underside of the roof. I have a ridge but no soffit vents. Comment: Need insulation at wall/ceiling interface of great room - get condensation on drywall whenever temperature falls below about 20F outside. Woodbury Insulation Contractors are rated 4.84 out of 5 based on 170 reviews of 10 pros. 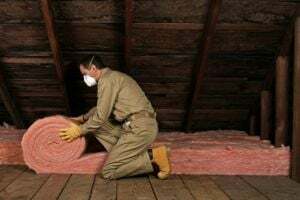 Not Looking for Insulation Contractors in Woodbury, CT?